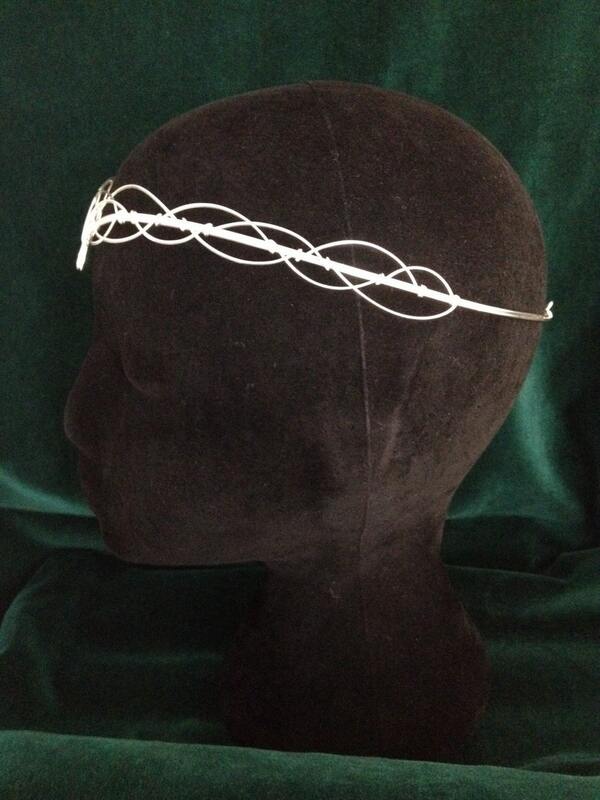 Designed to be worn on the forehead, the circlet is open at the back with loops for ribbon or cords to be attached enabling the circlet to be held in place. It can also be pinned into place if preferred. 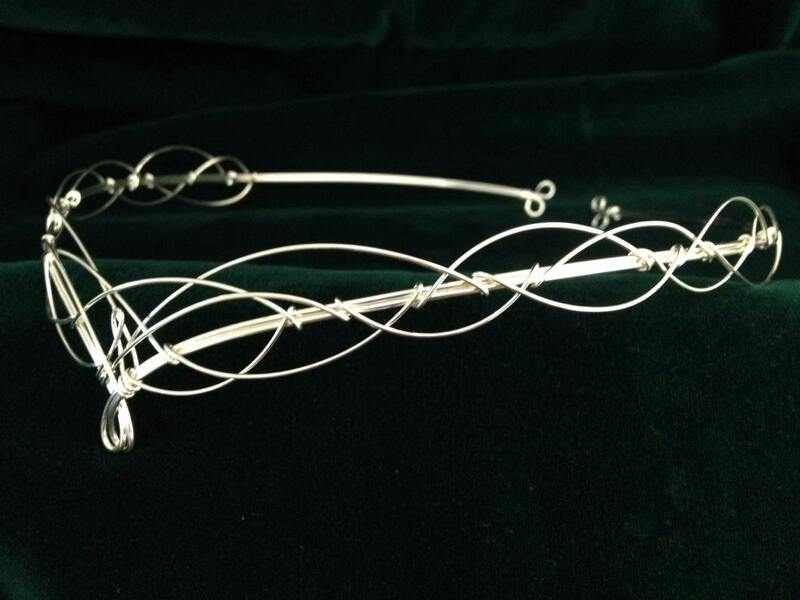 The circlet is flexible and very comfortable to wear. 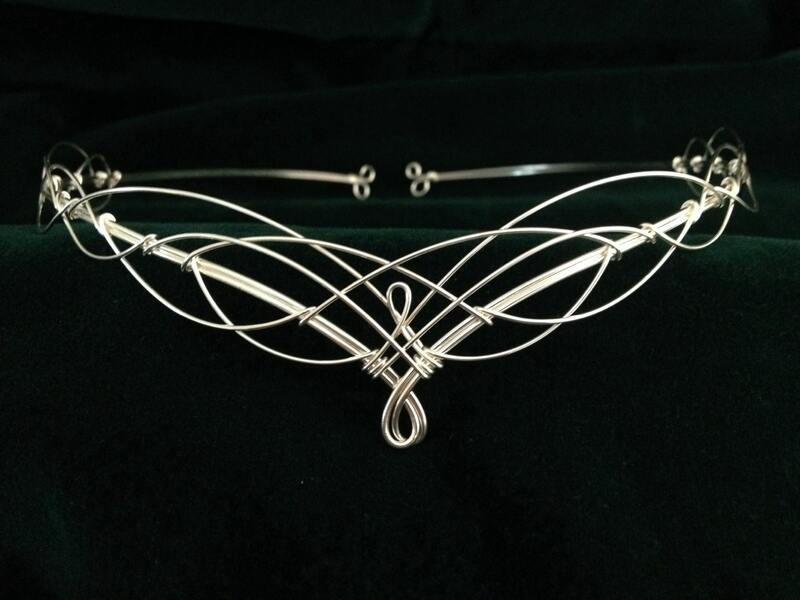 The design of the circlet measures approx 32cms (12 and a half inches) across and 3cms (1 and a quarter inch) from top to bottom at the centre. 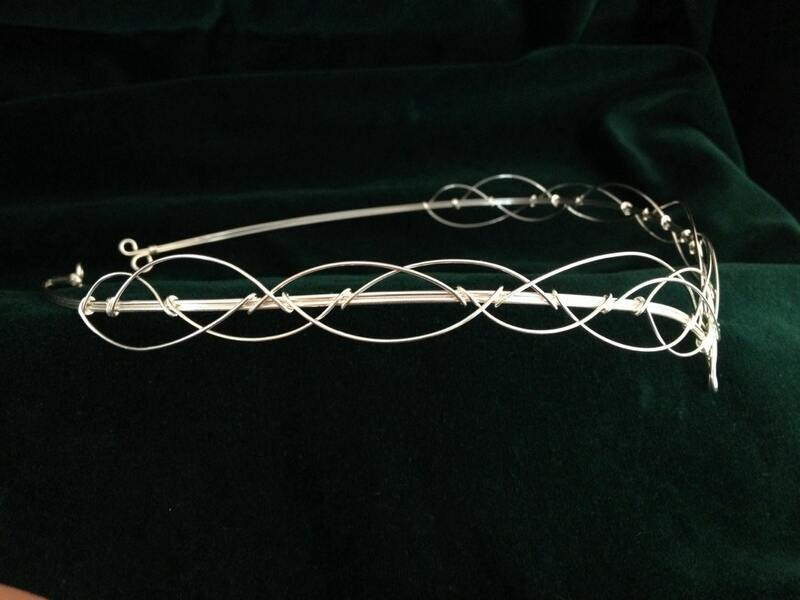 The full circumference of the circlet is 53cms (20.5 inches). I received the item promptly, the seller was very pleasant and answered my questions hastily. I needed this as a last minute addition for a fancy dress party, and they were able to get it to me ahead of schedule. I was so grateful and it is STUNNING! Thank you so much for this beautiful piece of work! 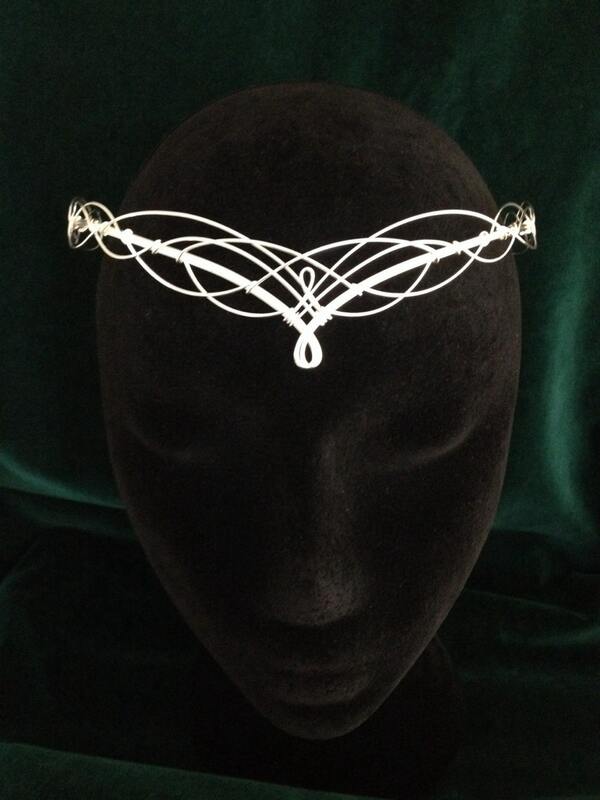 This is beautiful, but it was a little smaller than I had envisioned for the price. Service was great and it arrived in the time expected.